MOSCOW, April 15. /TASS/. Russia’s Black Sea Fleet is monitoring the movement of the USS Ross destroyer that entered the Black Sea on April 14, the Russian National Defense Management Center said in a statement on Monday. 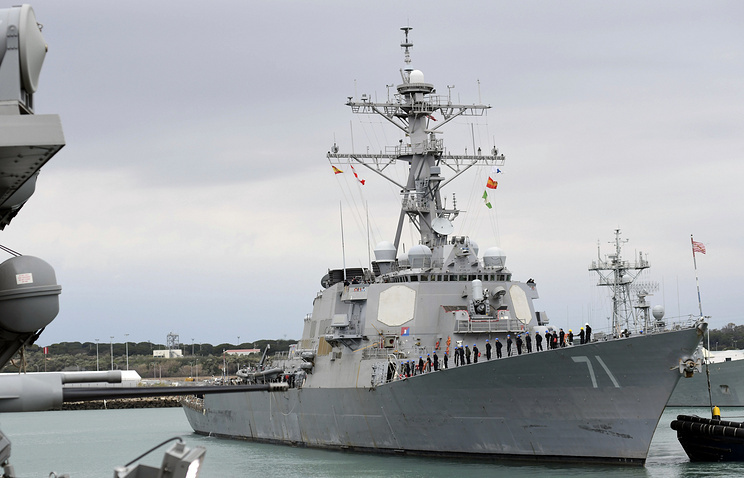 "The Black Sea Fleet forces are constantly monitoring the movement of the US Navy’s Ross guided-missile destroyer that entered the Black Sea on April 14, 2019," the statement reads. The Center added that "upon entering the Black Sea, the US navy ship was placed under constant monitoring involving the Fleet’s coastal surveillance facilities." "In addition, the Vasily Bykov patrol vessel and the Ivan Khurs reconnaissance ship are directly monitoring the US warship’s activities," the Russian National Defense Management Center noted.